The Wolf Gathering is an annual meeting of Wolf Camp alumni designed as a weekend of camping and camaraderie at Camp Curran, 13220 50th Ave E, Puyallup WA 98446. The gathering is also a open to other nature lovers and survival enthusiasts who want to help the Conservation College transition Wolf Camp from its family-owned business model, into a non-profit organization guided by a board of directors. Birders and naturalists, herbalists and ethnobotanists, wildlife trackers and nature photographers, subsistence hunters and fishers, traditional craftmakers and artisans, organic farmers and sustainable builders, political conservationists and environmental educators, and those who love wolves are all welcome to become members. 3 PM – Set up tents for those camping overnight. Best known for his global musical comedy hit Cows With Guns which went to #2 on Australia’s Country Charts and remained on Ireland’s Top 40 for six months, Dana is a singer, guitarist and recording artist who has toured the world for thirty years promoting environmental and social justice causes. Dana Lyons performs at festivals ranging from Farm Aid with Willie Nelson and Neil Young, to the Harley Davidson Festival in Sturgis, South Dakota. His policy of “I’ll play anywhere once” has landed Dana gigs on a tropical island in the Great Barrier Reef, an Irish Pub in Beijing and the Hanford Nuclear Waste Dump in his home state of Washington. Here at Wolf Camp and the Conservation College, Dana is best known for his enviro-spiritual songs including The Tree, about which he will relate the history of how the song came to be written by an old growth cedar threatened and then saved from logging near Mt Baker. He’s now touring as part of his Great Salish Sea tour. Seating is on amphitheater benches. In case of rain, the concert will take place inside the lodge. Either way, bring a pad to sit on, and don’t forget marshmallows and s’mores for time with Dana after the show! Dana will also have music, t-shirts and other goodies for sale. 9-12 Enjoy the morning with Wolf Camp instructors doing archery, carving/practicing bow drill fire kits, birding and plant walks. 2-4 PM Dana Lyons – Celebration of the American Environment Fundraising Concert for the Conservation College. RSVP Here or donate upon arrival. 4-5 PM Discussion with Dana Lyons at his merch table. 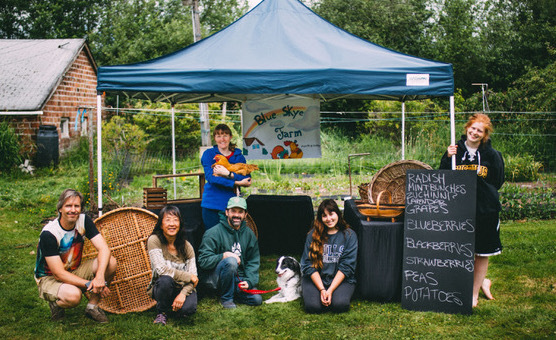 With a Masters in Arts in Education, Cyndi “Soup” Elliott is a teacher, artist and performer who enjoys sharing her life-long love of Nature. Her dogs and horses have always been among her dearest friends. Cyndi Soup is currently the featured performer at Remlinger Farms in Carnation, WA. She and Tim recently bought 17 acres in rural Snohomish County to start an environmental learning center they’re calling The Pond Beyond. They will share their original musical composition of that title as part of their keynote address focusing on how we can keep future generations in touch with the music of nature and a life outdoors. 10 Informational Meeting for prospective Board Members and others interested in hearing Chris & Kim‘s vision for transitioning Wolf Camp to a non-profit outdoor institute. Tim Noah grew up in rural Neuwaukum in western Washington and from an early age, demonstrated a passion for art, music and theater. He is an Emmy award winning songwriter and producer, nationally acclaimed recording artist, and star of stage and screen. He has appeared on HBO, The Disney Channel and the BBC. In 1986, ABC invited Tim to New York for two performances at Lincoln Center and in 1987, he wrote and recorded the soundtrack and starred in Daredreamer, an independent feature film. In 1995, Tim received the Parents Choice award for Supertunes, an album released by A&M records. In 1998, he began co-producing a music magazine show for children entitled “How ‘Bout That!” In two seasons, How ‘Bout That won a dozen Emmy awards and critical acclaim. In 1989, Tim moved back to the country, where he tapped into his rural roots and rediscovered a knack for storytelling. It was during this time that he wrote and recorded the album, Kaddywompas – still a favorite among his fans. In the year 2002, Tim and true love, Cyndi “Soup” Elliott met and began the transformation of a hundred-year-old church into Tim Noah Thumbnail Theater – “The Pacific Northwest’s Cozy Home for the Performing Arts” in Snohomish, northeast of Seattle. Tim and Cyndi co-produced “Cyndi Soup and the Critter Choir at the Imagine Inn”, an album of songs for the whole family recorded in Nashville. Tim also recorded One Fell Swoop, an album of original Americana recorded in Nashville and released in 2007. Tim’s musical journeys have taken him to Lincoln Center in New York. Tim & Cyndi have also worked with teachers and students in the high Himalayan villages of Ladakh, India. They continue to perform concerts, visit schools, write songs, produce and direct shows. Now they have bought a property to start an environmental learning center they’re calling The Pond Beyond. Their keynote address will focus on the journey from a childhood outdoors, to how we can bring similar experiences to future generations. 3 PM Meeting to nominate board members for the new non-profit organization taking over management of Wolf Camp in 2018-19. Recommended Contribution for Participants & Guests: $95 adults; $45 accompanied youth and children no matter the length of time you stay, and not including optional meals or tent accommodations – see below. Please register youth along with an enrolled parent or legal guardian. Just rsvp with an email to guarantee a seat or register at the door. Accommodations include on-site tent camping, near-by hotels, and daily commuting. Music and other louder activities are welcome if you put them on the schedule in advance, and quiet is paramount between the hours of 9 pm – 7 am. 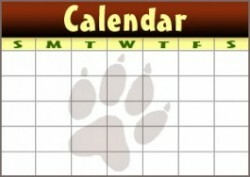 To schedule an activity of any kind, please register with a note about your activity. Presenters, Skillshare Providers & Vendors: RSVP Now for complimentary attendance in exchange for offering one presentation/activity each day during Saturday-Sunday sessions and to be listed on the schedule in advance. Please write a short bio and one paragraph description of the activity you would like to offer, plus which session times you prefer; includes optional website listing and weblink. To add accommodations and meals, you can volunteer to help cook and serve, or see see below for monetery contribution level. If selling wares at the gathering, then contribute additional 10% per sale at end of weekend. Just rsvp with an email to guarantee your participation . Other Accommodations: Reserve RV Site at Puyallup Fairgrounds (15 mins) or camping at Dash Point State Park (30 mins) or stay at the Tayberry Cottage B&B (10 mins) or a Hotel in Puyallup or Tacoma (10 mins). Last year, Nikki van Schyndel joined us at the gathering on for an edge-of-your-seat presentation on the two-year survival adventure she undertook after 4 years of training at Wolf Camp, now described in her recent book Becoming Wild. • Becoming Wild with author and Wolf Camp veteran Nikki van Schyndel on her two year survival living experience! • Wolves in Washington with special guest from Wolf Haven, International at this tenuous moment when another wolf pack faces state-sponsored extermination. • The Living History of John Muir with storyteller and poet Bill Baroch in character performing his “Stories of Experience and Place” as forays into nature, mystery and magic. • “Stories of Experience and Place” – Nature Storytelling Skills with Bill Baroch is a foray into nature, mystery and magic. Your experiences have the power to carry that magic into mystery, to inspire, to connect, to share knowledge, wisdom, love, humor, and humility. Come explore how it might be done. 6:00-7:30 Friday Keynote Address on Wolves in Washington with special guest from Wolf Haven, International at this tenuous moment when another wolf pack faces state-sponsored extermination. Last year, Chris Chisholm shared the “Living History of Ezra Meeker” the progressive founder of Puyallup who not only emigrated with his wife Eliza on the Oregon Trail in 1952, but re-enacted the journey a couple more times to popularize the historic trail, and immediately upon arrival in the Northwest, came to respect the Potlach Culture of the Puyallup Tribe and met most of the region’s famous settlers in his travels. Wolf Camp is now based in along Meeker Creek in the home built by Ezra’s nephew whom he later adopted. 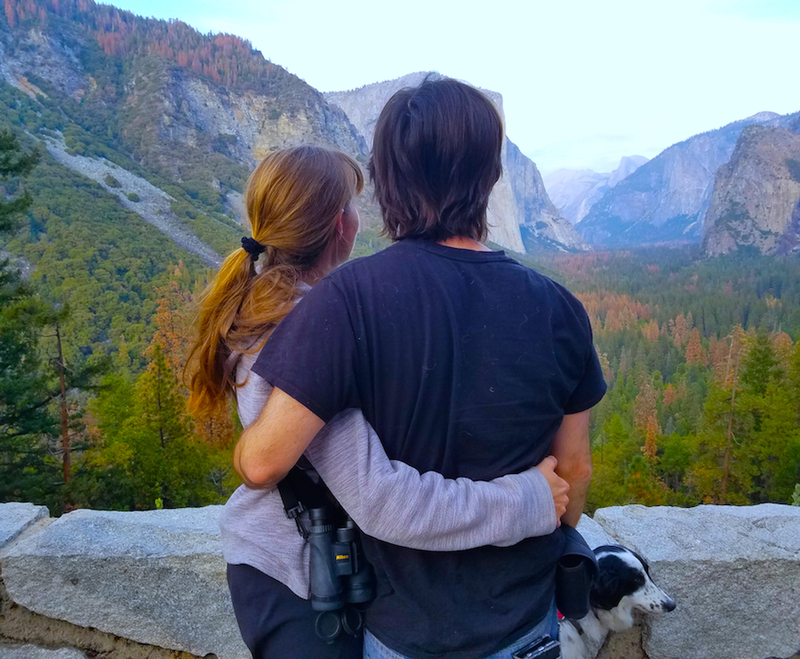 6:00-7:30 Saturday Keynote Address on Becoming Wild with Nikki van Schyndel, Wolf Camp Earth Skills Apprenticeship graduate and author of the book Becoming Wild about her 2 year survival living experience with fellow Wolf Camp apprenticeship graduate Micah Fay. * Water Is Life with Lisa Powers (Comanche): Gather together to honor, respect and give thanks to the Waters of the World in a ceremony of prayer and singing the Anishinabe Water Song in respect of Josephine Mandamin, Elder who walked around the 5 great lakes with prayers in honor of the Water. Ceremony will include time to discuss what we can do individually and as a group to promote further honoring and protecting of our water.